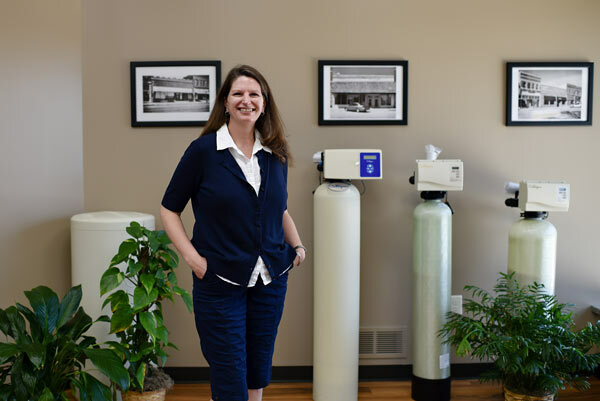 Karla Argus has spent her whole life in Madelia. It’s where her family – two kids and five grandchildren – live now. 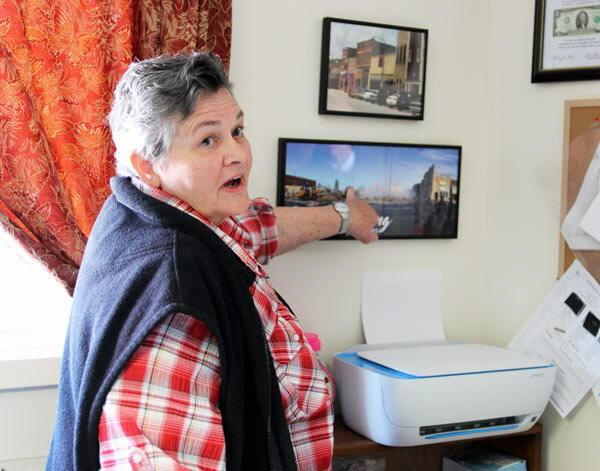 Her house is a block south of Madelia’s main street, so she doesn’t have a long commute to the Chamber of Commerce, where she works as the executive director. In a town with a population of 2,303, the loss of one business can be a huge set-back. To lose eight was a devastating prospect. Luckily, SMIF learned more than 10 years ago that one of the best ways to get businesses to re-open is to get them money fast. When Tim Penny, President and CEO of SMIF, started at the Foundation over a decade ago, he worked with partners from across the region to set up a Disaster Recovery Fund for the Rushford flood victims. Ten years later, Rushford is stronger than ever. Madelia is also off to a strong rebound. SMIF’s Disaster Recovery Fund raised over $245,000 in about a month for the Madelia business owners. A total of 228 contributions came in from across the United States. Downs Food Group, a large employer in Watonwan County, contributed $100,000, and AgStar (now Compeer), put in the first $25,000, which SMIF matched with another $25,000. “These dollars are not intended to replace insurance or State disaster dollars, but rather, to serve as quick, easy money that can help cover immediate day-to-day expenses,” said Penny. Blandin Foundation also contributed $60,000 to go toward the businesses as well as recovery planning. Nancy Vee of EZ Medical Wraps and her sister, Kay Gunderson of Kay’s Upholstery, were two business owners affected by the fire. They celebrated the grand opening for their new location on April 1, 2017. “If it hadn’t been for the assistance from Southern Minnesota Initiative Foundation’s Disaster Recovery Fund, we would have had to close our doors for good,” said Vee. “We had only been in business a year, and had used all of our savings to get it off the ground. We were looking forward to finally making some money this year when the fire hit.” The money from SMIF went for supplies that Vee used to restock her medical wrap business, which sends hundreds of wraps worldwide every month to people affected by lymphedema. Her wraps help reduce swelling in limbs. Krystal and Daniel Hernandez, owners of Plaza F!esta. Their adjacent grocery store will open by the end of 2017. 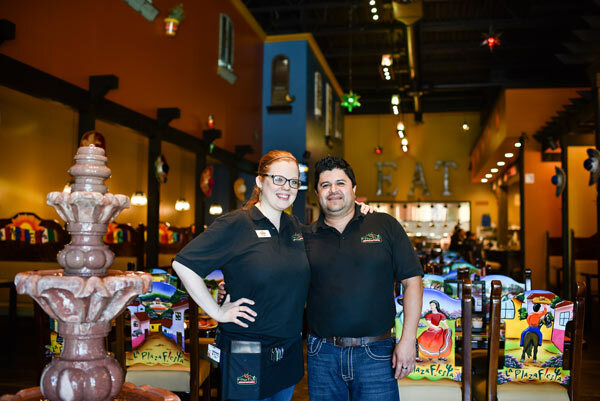 Krystal and Daniel Hernandez, owners of La Plaza Fiesta, were the last business to re-open. Their Mexican restaurant was and remains a Madelia favorite. They had a soft opening in June, and grand opening on August 27. The demand was so strong “we literally had to go on a hiring frenzy after the first day open,” said Krystal. They went from 12 employees to 20. Krystal and Daniel are also putting the finishing touches on an adjacent Mexican grocery store. All but one of the businesses rebuilt. 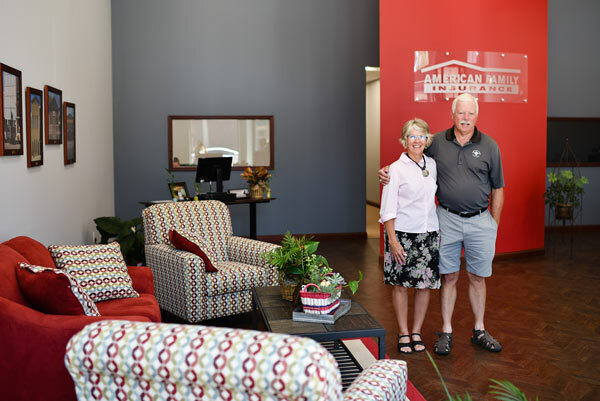 The affected business owners and employees are enjoying the new, light-filled spaces that have a lot of updated amenities, such as a loading dock at Culligan and a more open layout at Hope & Faith Floral & Gifts and American Family Insurance. There’s still one new storefront available. “It’s a beautiful building and open to whoever comes in for building ideas,” said Argus. Nancy Vee of EZ Medical Wraps, pointing to where their building used to be on main street. Pictured here in her sister Kay's new upholstery shop just off main street. 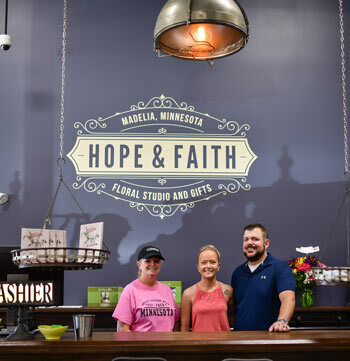 The staff at Hope & Faith Floral Studio and Gifts. Support for the community continues. This past year, they had record-breaking attendance at their Park Days festival. Over 300 people volunteered. Krystal at La Plaza Fiesta said people frequently just drop by to peek at the new space, and come back later to eat. 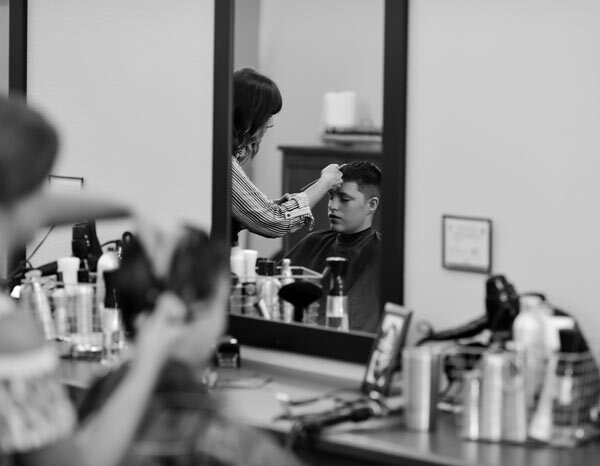 Summer De La Cruz, owner of Tressa Veona Salon, cutting her son's hair. Among other first responders was Region Nine Development Commission (RNDC). RNDC is still working with Madelia to help them build a comprehensive plan and resiliency plan. Eight community ambassadors nominated by the community are helping with these efforts. They’ve identified strengths, weaknesses, opportunities and threats for the road ahead and are now moving ahead on action items. The McCabes, who own the new American Family Insurance building. Their son, Brian, is the owner of the business. All businesses aided by SMIF’s Disaster Recovery Fund include: American Family Insurance / McCabe Properties LLC, Culligan, EZ Medical Wraps, H.C. Gunderson (building owner), Hope and Faith Floral and Gifts, Kay's Upholstery, La Plaza Fiesta Market, La Plaza Fiesta Restaurant, and Tressa Veona Salon and four hair stylists.